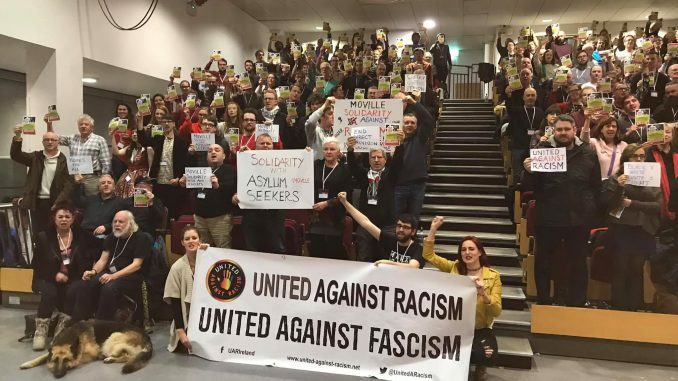 United Against Racism condemns the racist attacks in Moville and Cork as well as the recent upsurge in racist actions around direct provision. We commend those in communities across Ireland who have rallied to support refugees. Refugees are not our enemies – they are people in distress fleeing from countries devastated by wars and corrupt regimes. 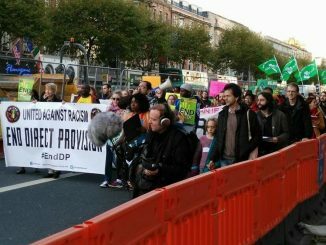 We call for an end to the inhumane and cruel system of Direct Provision that we operate in Ireland. Refugees deserve the chance to start their lives anew in Ireland. They need to be given the same rights as Irish citizens – the right to work and housing; full access to third level education; and right to hold a driving licence. It’s no accident that many Direct Provision centres are located in unsuitable and remote areas with underfunded amenities. This Government seems intent on stirring up divisions by not listening to asylum seekers or the communities where centres are located. 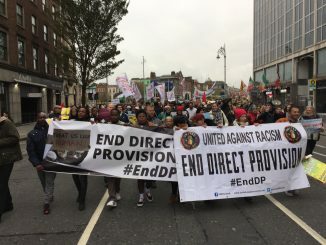 That’s why it heartening to see so many Irish people actively welcoming refugees and calling for an end to the Direct Provision system – not an end to welcoming asylum seekers but a call to allow them full citizenship and rights. We should enable them not incarcerate them! Support for an amendment to article 27 of the Constitution stands at 71% according to a recent Sunday Times poll. Repeal of the 27th would enable children who are born in Ireland to be considered for citizenship. United Against Racism calls for citizenship to be given to children at birth not after the age of three as stipulated in the proposed Bill. Please sign the United Against Racism Petition to Repeal the 27th Amendment here – http://bit.do/Repeal27th – and show your support for refugees, asylum seekers and migrants who want to contribute to our communities.